XEU v SPX: syncing up nicely the past couple of weeks, as they’re both an anti-dollar play. Ordinarily more of an inverse relationship. 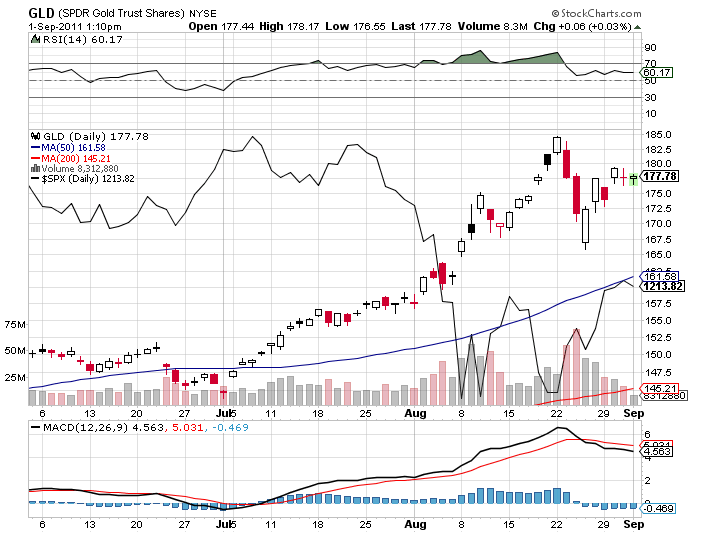 PM’s playing the same role, with GLD and SPX moving together as an anti-dollar play. 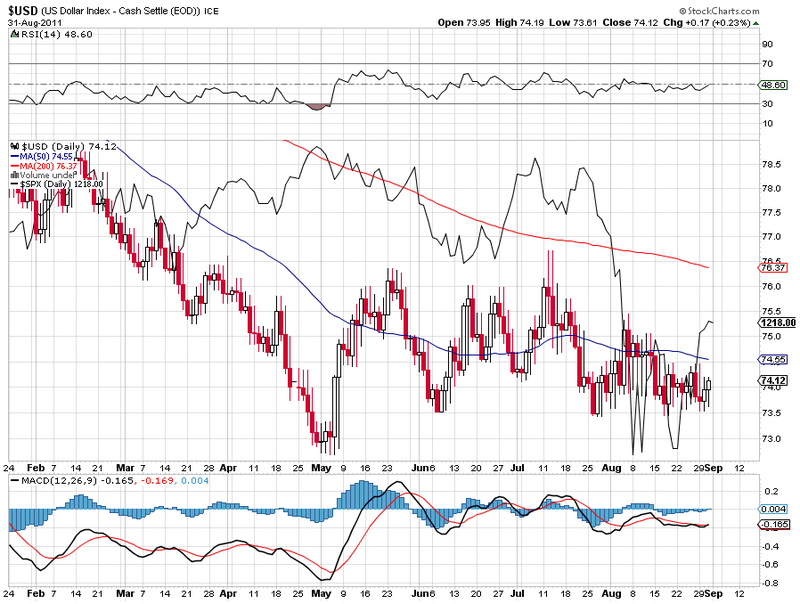 USD v SPX: inverse relationship a bit stretched right now…. 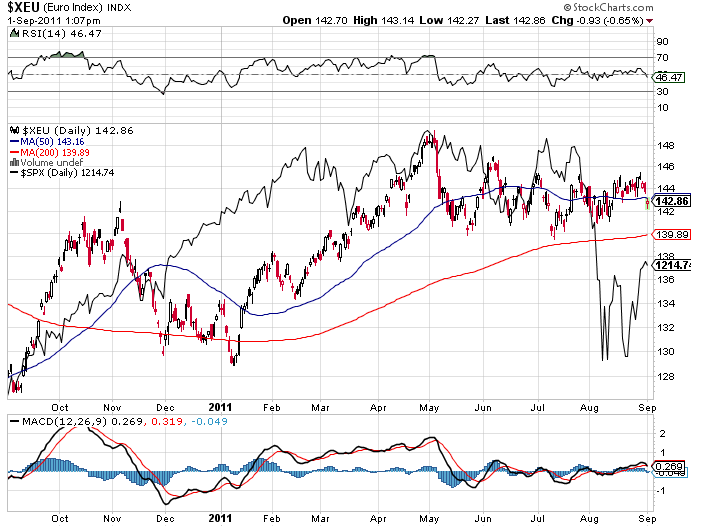 Has that “something’s gotta give” look about it, as the dollar rally hasn’t been fully reflected in SPX. The dollar responded well to today’s economic news. 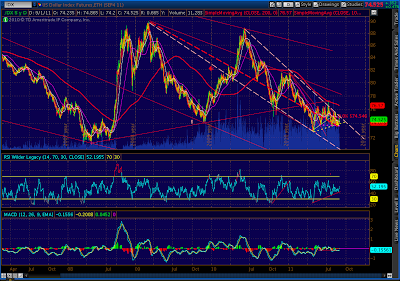 DX has been in a falling wedge within a larger falling wedge, and broke out last week. 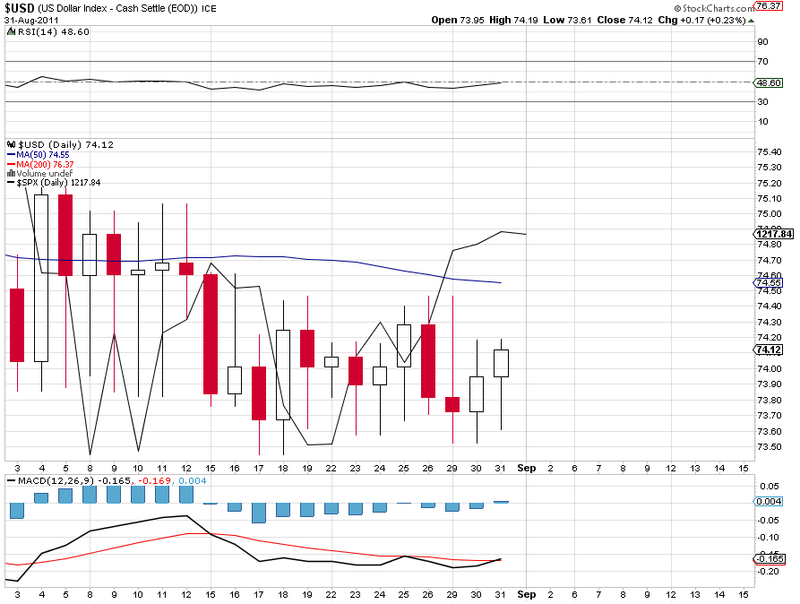 We had a nasty backtest last Friday the 26th that has since reversed. 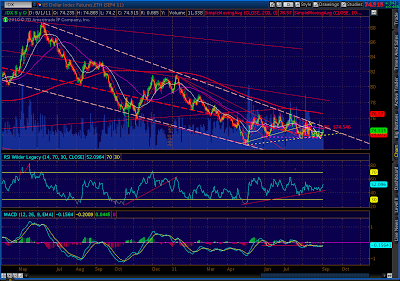 DX is once again threatening the longer term trend line that’s limited its upside since Jun 10. 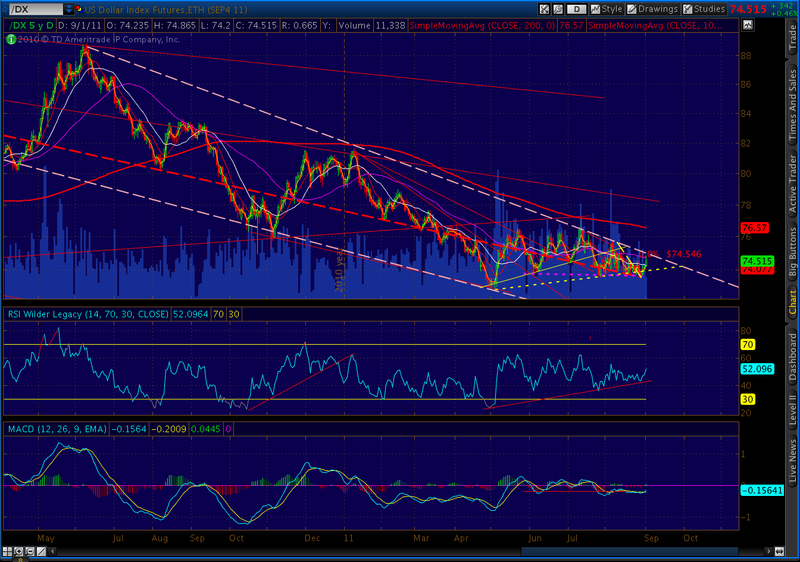 One way or the other, DX will be forced out of its falling wedge by the end of September. 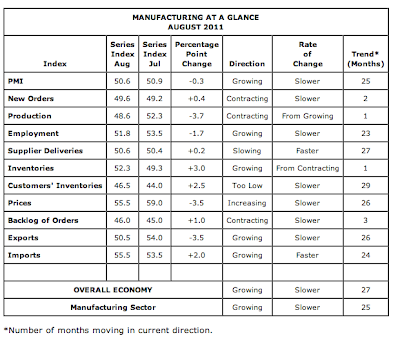 ISM data out, and not as bad as many expected thanks primarily to a troublesome growth in inventories. 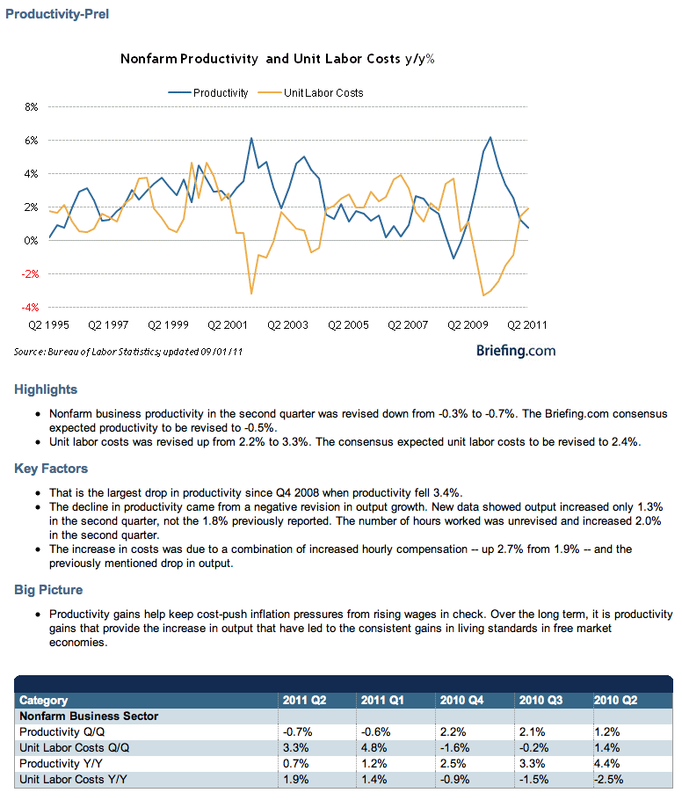 Increasing inventories are a sign of confidence, as business owners are increasing their stocks of products in anticipation of greater sales. In an expansion, increasing inventories are a bet that’s likely to pay off. In a contracting/slowing economy, they signal that someone made a bad bet. A reminder, this is a survey of purchasing managers’ attitudes about business conditions. An index above 50 indicates conditions are better, and below 50 indicates they are worse. Because it’s not generated by a department of people who can be fired by Congress or the White House, it is not considered to be “managed” as are many DOL and DOC reports. Exports continue to cling to a positive score, benefitting from a cheap dollar — a factor that might not last much longer. 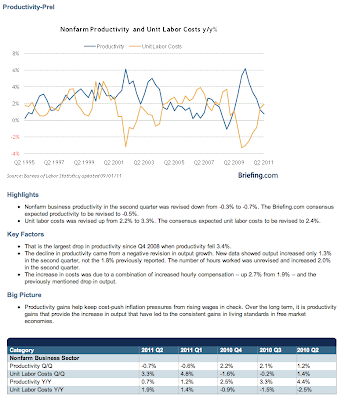 From Briefing.com, a nice view of labor productivity and costs. Not a healthy path, to say the least. Check out the astrological forecast for the month of Sep 2011 by Carl. I just don't see how the markets can escape its influences. Obama now is going to make a job speech on the 8/9/11. My goodness, that day we will have the Mercury oppose to Neptune again; the last time this happened were the days surrounding the debt impasses and the subsequent downgrade. Massive confusion and melt-down (Neptunium archetypes) caused by the tensed (opposition) communications (Mercurial archetype). Also, another period to watch for in September will run from the 24th through the 28th when Uranus and Pluto will be hit by forceful transits from the Sun, Mercury, and Mars. It seems likely this will be a five-day stretch of upset, agitation, and unexpected events. The president will be somewhat distressed by what is happening through September 28 due to the transit of Saturn sesquiquadrate his Moon. 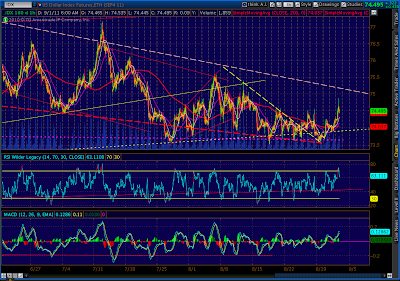 I think a low of sort will form around the 26 Sep 11. What do you think ? 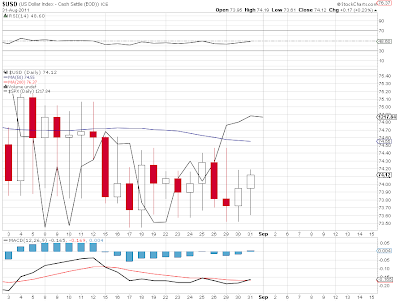 Timer, check out the charts I just added. Hook, I think the little plunge in late July would qualify. It broke the internal trend line (red, dashed) as had several other declines, but it also broke the rising TL established off the early May, June and July lows. 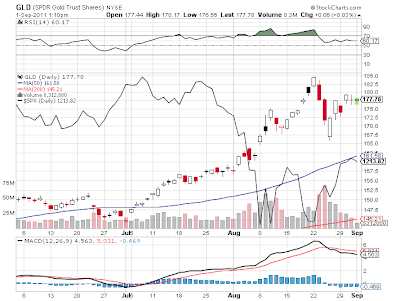 When it landed at 73.605 on Jul 26, it established the new sideways channel that's still in force today. 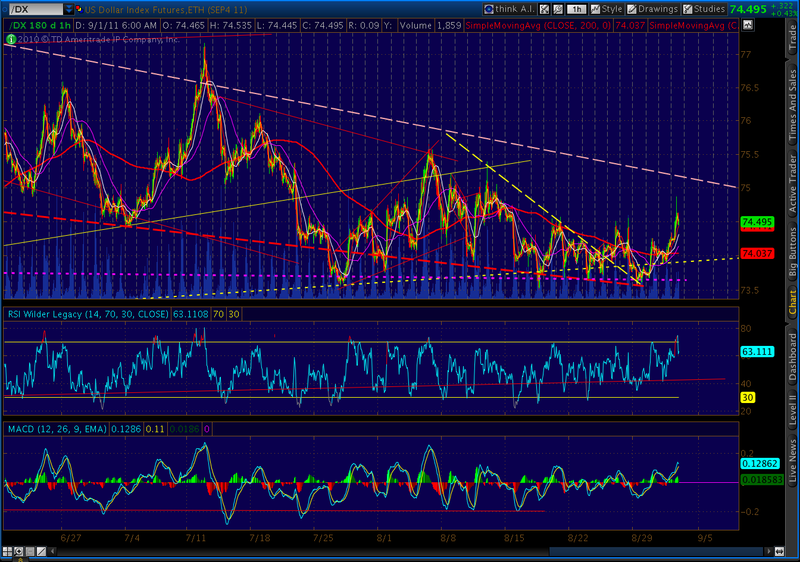 You mind doing an analysis on the Euro ? Its falling fast these few days. 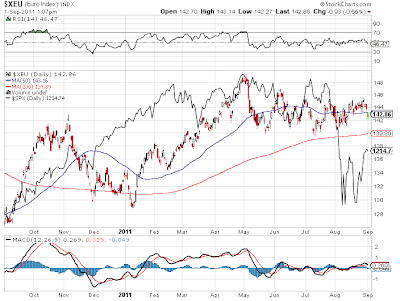 What will be the dynamics between the Euro, US$, PMs and the stock and bond markets. How do they move in relation to each other going forward ? 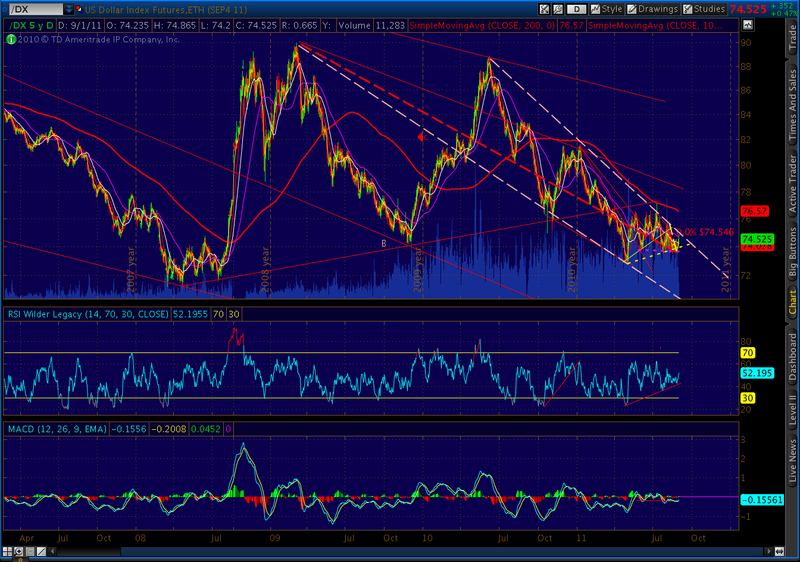 Pebble, on the DX falling wedge, for a major cycle like the 3 year (and possible 10 year) dollar low which is approaching, would you expect a throwunder fakeout first? 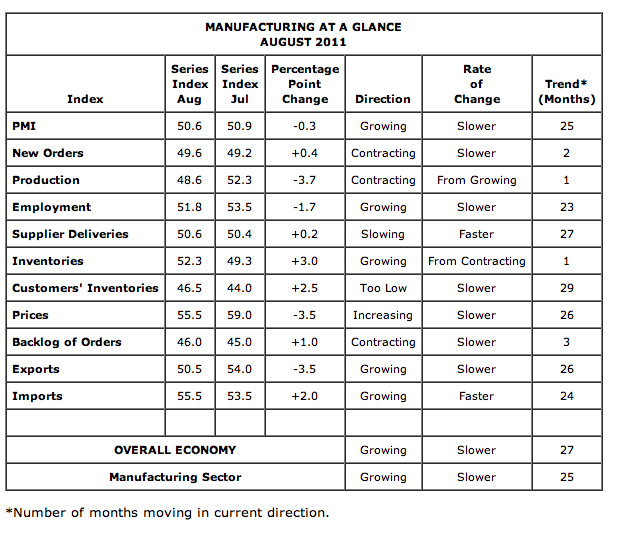 You might want to review through the whole slew of awful PMI numbers that were released today at MARKIT.